LOS ANGELES - May 21, 2018 - PRLog -- Founded by Matt Connor, in 2011 and bootstrapped it into one of the fastest growing cloud hosting providers. Regarded as an industry leader in hybrid computing strategies and solutions, they have established world-class data centers having multiple layers of physical and operational security to ensure the safety and integrity of every customer's data. Headquartered in Tustin, CA they have grown from a single server to multiple servers throughout North America servicing a global population. 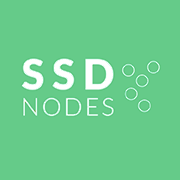 SSD Nodes is an SSD hosting provider that offers simple, high-performance cloud computing with personal support, live upgrades, and incredible speed to enable growth and deliver an outstanding experience. Designed for developers, startups, and small businesses seeking a secure and scalable hosting solution that can be deployed quickly. SSD Nodes is part of Strasmore, which offers hosting for larger enterprises. SSD Nodes Celebrates 7-year anniversary as a leader in SSD Web Hosting Services. More information is available at https://ssdnodes.com. You can find both the podcast and transcription at the Business901 blog on the page, Bootstrapping a Subscription Service (https://business901.com/blog1/bootstrapping-a-subscriptio...). Business901 Podcast offers visitors the opportunity to listen to current business topics such as discussions on Lean, Design Thinking, Service Design, Six Sigma and Marketing. About Business901 provides direction in areas such as Lean Marketing and Lean Services. Joe Dager is president of Business901, a firm specializing in bringing the continuous improvement process to the sales and marketing arena. He takes his process thinking of over thirty years in marketing within a wide variety of industries and applies it through Lean Marketing Concepts. Joe has participated with companies involved in retail, manufacturing, software and professional services along their quality journey. In these companies, Joe developed and implemented sales and marketing strategies. Always being a process thinker, he attached Lean to the way of implementing sales and marketing and has advanced those practices through Design Thinking and Service Design concepts.